A recent iResearch China report revealed that the 3rd party mobile payments of the country will expand to 18.26 trillion yuan in 2018 from 5.99 trillion yuan in 2014. This indicates that China shall be eyeing an annual growth of 32%. With key Chinese players like Alibaba Group Holding Ltd (NYSE:BABA) grossing high on the backdrop of GMV (gross merchandise volume), the 3rd party mobile payments, Apple Inc. (NASDAQ:AAPL) shall be suffering in Dragon-Land. China, which has strong Government policies over foreign companies entering its land for business, will be harsh on Apple regarding competition. The major U.S. companies (especially the tech giants), such as Apple and Facebook Inc (NASDAQ:FB) trying to get a base in one of the largest economies of the world, the established players like Alibaba will give a strong competition. The online payment market in China is a crucial one and despite stiff competition from Alibaba, Apple will try finding a breakthrough in this market. 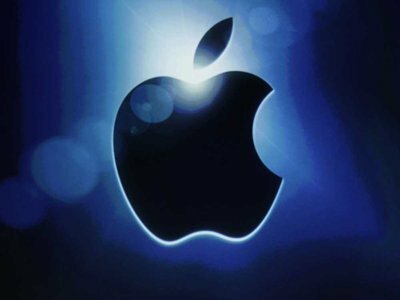 Will Apple take a by-pass success route? Apple is trying to take a diversion for the success, it seems. The company has hinted toward entering the money transfer market through person-to-person route. Apple is already making a mark in the mobile payments market in China. Apart from that, it has also started imprinting its foothold in other markets like Canada, UK and Australia. With the electronic payments market seeking momentum among the customers, Apple is trying to cash on the opportunity in newer markets through Apple Pay. The Wall Street Journal has cited that Apple is looking forward to launching person-to-person money transfer service. As of now, PayPal’s Venmo is one of the key market leaders in this segment. Square is another company that has made a mark in this regard. Apple does have a strong potential in mobile payments markets. PayPal recently reported that $2.1 billion payments were made from mobile through Venmo service in 3Q2015, an increase from $700 million in 3Q2014. It must be noted that Apple Inc. (NASDAQ:AAPL), if at all, makes a mark in this segment, especially in China; it would be a breakthrough for it. Cashing on one of the largest economies of the world will indeed provide a considerable amount of revenues to Apple. The company is also looking for other options in the growth-oriented electronic payments market.